AWAIR launched the latest solution for better air quality and the environment- Awair 2nd edition. Indoor air can be 5 times more polluted than outside, due to factors like paint, furniture, carpet, air fresheners, toys...etc. These are the factors that cause allergies, asthma, concentration, sleep quality, skin health, and many more health problems. Nowadays, people spend a lot of times in the offices which consist of many such factors. These factors could affect health and thus hinder productivity. It is of great importance for companies to provide a better working environment to ensure the health of employees. Chemicals: Known as volatile organic compounds, can be found in everyday materials. They can cause skin and respiratory irritation. CO2: Indoor exposure can hinder productivity and decision making. Temperature: Influence comfort and mood. Humidity: Unproportional humidity is a risk for toxic mold. Fine Dust: Known as PM2.5. Exposure to fine dust can trigger asthma, allergies and heart failure. Fine Dust is incredibly common from everyday activities such as cooking and heaters. Along with tracking air quality, Awair 2nd edition also includes more personalized tips and recommendations to help improve health goals. All these are done through Awair App. Don't hesitate and contact us for this life-saving product! 1. We offer devices, which are made from sustainable materials. It means that the danger of getting cancer or other serious diseases is reduced. 2. Also, the company provides computer staff with the care of energy. For example, the displays for computers have a power-saving mode, which helps to consume less energy. 3. 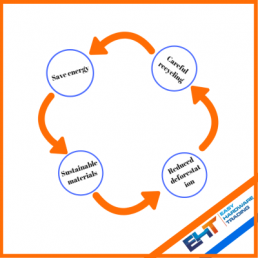 EHT makes sure that the recycling of old hardware is done in a good and reliable way. 4. 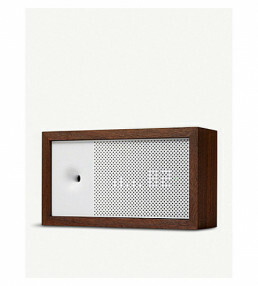 There is a wide range of switches and routers the company offers to people. The use of switches or routers helps to work or study with electronic devices. It reduces a deforestation that happens when a lot of people prefer working or studying with printed books. EHT always do as much as possible in the improvement of the environment!